The one thing that everyone needs at least sometime in his or her life is a place to put his or her stuff – at least that’s what Dean Jernigan hopes. In October of 1985, Dean founded Storage USA, the second largest operator of self-storage facilities in the United States. The concept behind Storage USA is convenient, friendly service with attractive, secure units – all at an affordable price. Prior to Storage USA, he served in various positions including President and COO at Fogelman Properties in Memphis. Dean Jernigan is also a member of the Board of Governors of the National Association of Real Estate Investment Trusts and currently serves on the Executive Committee and as Treasurer. 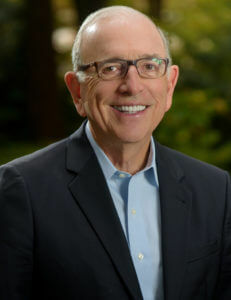 He is a member of the Board of Directors of Thomas and Betts, Inc. and has served as Director of First City National Bank, First National Bank of Collierville, the Memphis and Shelby County Airport Authority; Chairman of the Memphis and Shelby County Sports Facility Advisory Board, Memphians for Economic Growth and the Memphis Boy’s Club.